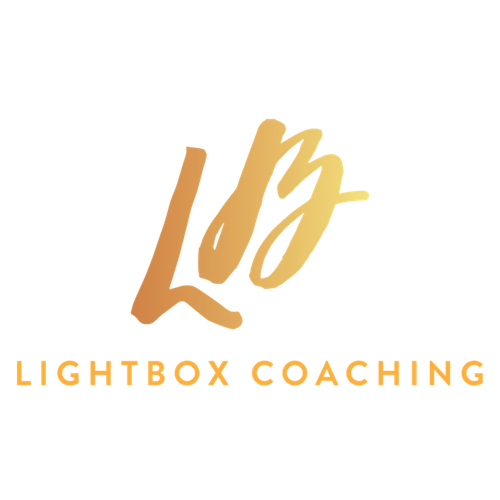 WONDERING WHETHER LIGHTBOX COACHING IS RIGHT FOR YOU? On my return to work following the birth of my son and the new set of priorities this gave me, I found I suddenly had more questions than answers when it came to my career. I searched for a coach who would “get it” and help me navigate various issues, including choosing the right career path for me. By asking probing questions and talking me through my responses, Janine helped me to find clarity about my future direction in just one session. I came away rejuvenated and with a renewed sense of purpose and direction. Thank you Janine! During this job transition period, I’ve been incredibly blessed and had the opportunity to meet and exchange with exceptional individuals. One of those individuals is Janine. Job transition periods can be really challenging, and can affect one negatively on many levels. An efficient way to avoid falling into the trap of negativity, or the trap of making hasty fear-based career choices, is to get the guidance of a career coach from your own field. Today I had my first session with Janine, and I really enjoyed the experience. First, it’s really helpful to have some insight from someone who has a lot of experiences working in the legal field. Second, the session I had was tailor made accordingly to my specific needs. Third, right from the first session, she gave me tools and techniques I can implement right away to increase my chances of landing in the position I always dreamt of. Finally, Janine is a person who has a lot of active listening skills and she definitely is a very special career coach. With bounds of energy, positivity and enthusiasm combined with pragmatism, experience and the ability to think outside the (light)box, I came out of my career mapping session with a clear idea of my next steps. Janine helped me to assess my priorities for a career move and offered gems of wisdom which will help me on my way to my next role. Janine is a good listener and it was great to be able to discuss my queries and concerns with her. She is a fantastic coach and a great role model for women. The sessions with Janine have simply opened my eyes to a whole new way of looking into my professional life. I have recently changed jobs and had a session before the day I actually started. With Janine’s help, I was able to work out what I wanted from the job and what my goals were, as well as how committed I was to succeeding and sticking to those goals. The truth is, I could not have arrived to the conclusions I did without Janine’s expertise, because I did not know how important those changes were to me ! The start of the job went really well and slowly I was able to stick with my plan and I am so pleased that I am succeeding. Janine was insightful, caring and had brilliant ideas/other ways of thinking which I am trying to stick to and implement permanently in my life. My mantra now is that “there is no such thing as work life balance, work needs to balance the life I want to live”. It is not easy but with Janine’s help I am sure I will succeed. Lightbox coaching is amazing! Janine is so talented, with a listening ear she creatively offers advice and insight, providing step by step guidance to get you from A to B. I’m ready to tackle the week ahead with confidence and looking forward to my next session! We were delighted with the workshop that Janine delivered at our Friday Live event. Obelisk consultants have a great reputation for being capable, experienced lawyers, able to slot into a team’s culture. We help them develop this ability through workshops demonstrating how to build confidence and resilience in the workplace. Janine’s legal background and training are spot on for this topic. Her workshop gave clear and valuable tools to our consultants and she has a very professional delivery and engaging manner – practising what she preaches! We will definitely have her back and can strongly recommend her.